This Victorian-era residence has been carefully and thoughtfully restored over the years, with the entryway, stair, porch posts, balusters and newel posts replacement as the final phase of work. 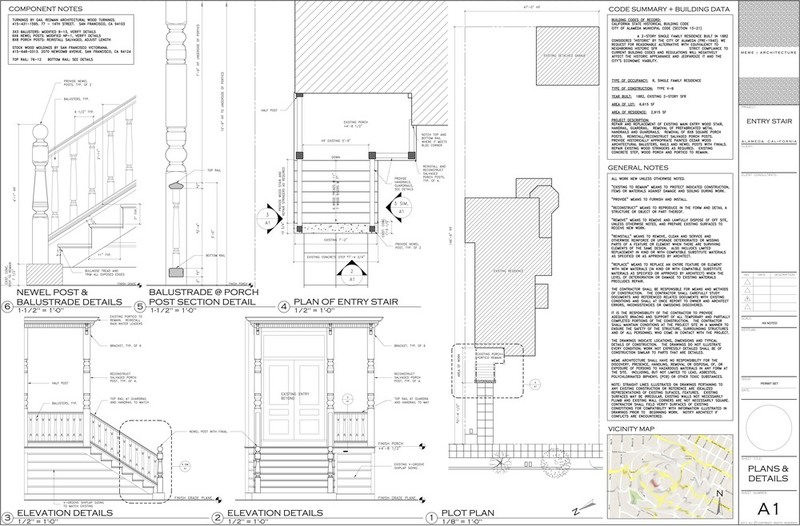 The goal is to execute the work to be seamless with the original design, taking cues from its neighboring homes and through careful research and modification of currently available turning designs, posts and balusters. Located in Alameda, California.